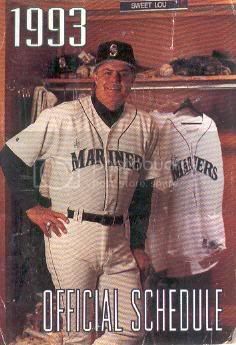 Well, we all know the Mariners have been pretty putrid this year. Thanks to the fact that we've finally found out how to host some images, I am now able to visually convey how long it's been since the Mariners have been this bad. CUE THE RELIC!! Yes, the Mariners and their fans get the joy of seeing the Expos this weekend, instead of seeing this guy, as originally scheduled.